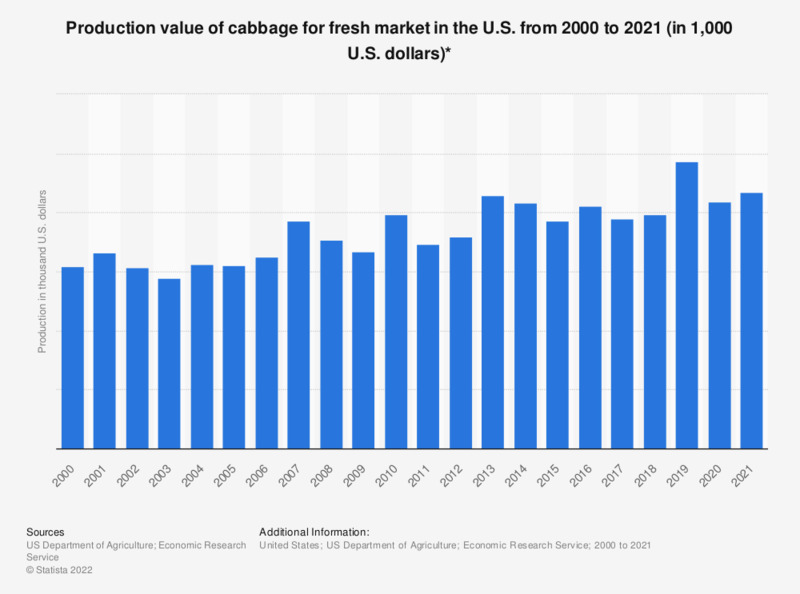 This statistic shows the production value of cabbage for fresh market in the United States from 2000 to 2018. According to the report, the U.S. production value of cabbage for fresh market amounted to approximately 397.65 million U.S. dollars in 2018. Data prior to 2016 were taken from previous editions of the publication.